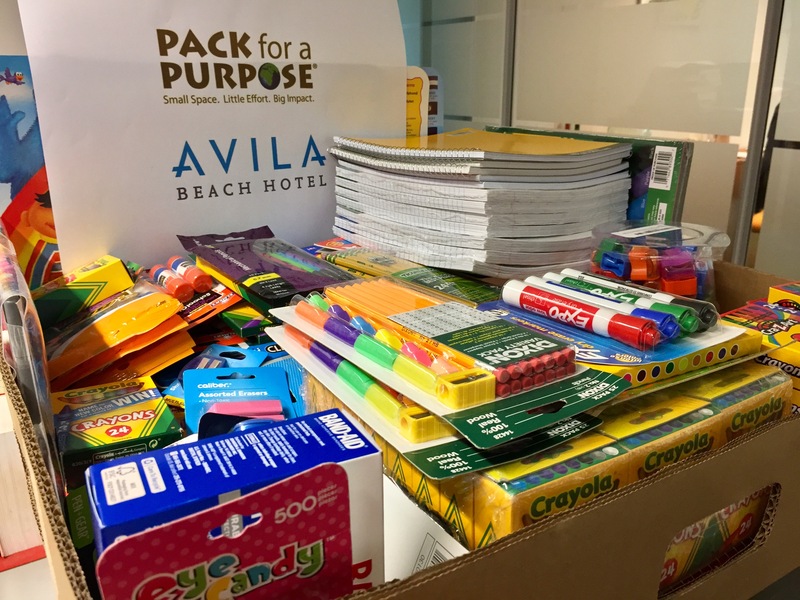 In 2016, the Avila Beach joined Pack for a Purpose.We chose to work with the nearby Oranjeschool because we have been supporting this elementary school for more than a decade already. Almost every employee of the Avila Beach Hotel has donateds a small amount of their salary to the school each month for many years. It’s just Nafl. 1 or Nafl. 2.50 per person (150 employees in total) but these donations are doubled by the hotel’s management and they save this to do a big investment once a year. Think of investments like new computers, inverter air conditioners and a new library for example. The hotel mainly receives guests from Europe and North America (Our top 3 is The Netherlands, Germany and United States) and they are becoming more and more aware of the hotel’s Pack for a Purpose participation. During summer break, we could not bring all supplies to the school because they were closed. Therefore, we saved everything and decided to surprise the 200 school kids on their first day of school. 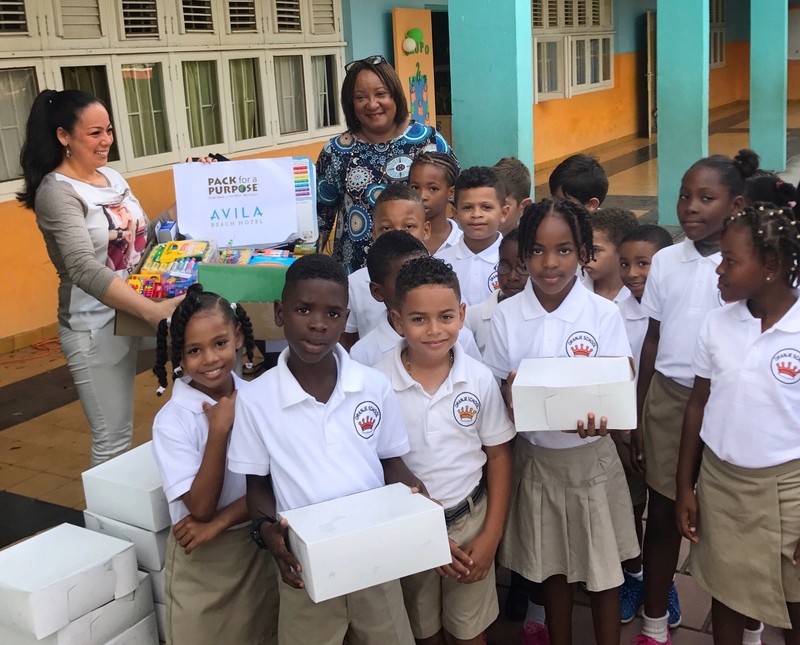 We had a huge amount of school supplies brought by our guests in those weeks off, and added 15 computer screens for their computer room . It never gets old to see a child’s smile and we love it that we can provide that together with Pack for a Purpose! Henceforward, we’d like to add one in the mix: Small space. Little effort. Big impact. Huge smile.